Since the United Nations adopted the new 2030 Sustainable Development Goals, countless companies, non-profit organizations, and government officials alike have been strategizing the path towards “No Poverty“, “Zero Hunger“, and other ambitious visions for the future. While these organizations are working hard to create a better future, young people living in developing areas who are learning about these initiatives for the first time are more likely to see themselves as the topic of change rather than partners of the solutions. 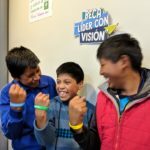 With the adoption of the goals in 2015, it’s been hard to find voices advocating for the youth of developing nations to become engaged as leaders in these issues. Unfortunately, the youth are often pegged simply as beneficiaries of the programs. One article by the Guardian, “Youth in development: ‘We’re tired of being the topic, not the leaders“, bucks this trend and provides a positive, insightful guideline we believe in. Some of our favorite ways the article recommends to include youth in upcoming development goals and programs are to get rid of youth side events, involve young people in government consultations, encourage civil society participation early on, and listen and act on what the youth say. 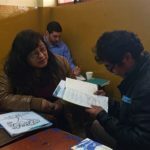 Not only do we believe in the fundamental ideas behind these actions, some of them are built into the core principles of our own education and empowerment programs. Get Rid of Youth Side Events – “Currently young activists are given their own spaces, but at the cost of not being in the room for the “grown-up” discussions“. Most of the time, it is not the youth side programs that receive the funding and serious consideration they need to move to the next level. Instead of providing the youth a sort of faux-involvement in side events, if they have unique insights and communication skills to make a positive impact, why not include them in the higher level events? 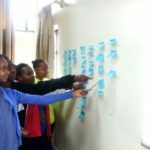 Involve Young People in Government Consultations – Wether it is at the national level, regional level, or local level, involving young people in government consultations could greatly impact development. Young people are often the topic of development initiatives and making them a part of the consultations to discuss problems, processes, solutions, and more makes perfect sense. Encourage Civil Society Participation Early On – “Supporting young people to engage socially, politically and economically and creating opportunities for them to contribute to development processes creates effective policy and builds a generation of engaged citizens”. Another facet of getting youth involved in development is having youth that want o be involved. Getting youth involved in different types of civil society early on in life can lead to high rates of participation in development initiatives at a young age and in adulthood. Listen and Act on What Youth Say – “No one benefits if young people are a wasted resource”. Beyond involving youth in events and activities, it is a whole other thing to really listen to them and take their contributions and ideas seriously. Bringing youth representatives to a discussion is one thing, but giving their opinions and recommendations weight in the decision-making process is what really counts. At Visionaria Network, we also recognize the desire and potential of young people to jump in as problem solvers. 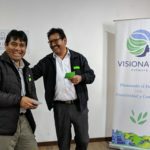 In an effort to increase the quality of education and learning experiences for secondary students in Peru, Visionaria Network forges a new link between young people (well aware of community hardships and needs) and the local leaders charged with solving community problems. One of the challenges to young women and girls in particular is often a society’s low expectations for them, lowering their own aspirations and perceptions of self-worth. 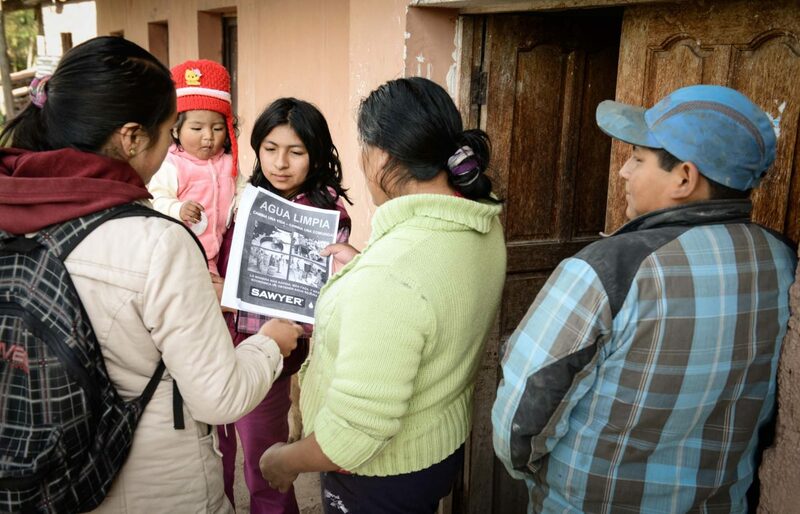 Visionaria programs (currently being piloted in five secondary schools in Cusco) enhance young women and men’s self-awareness and understanding of leadership before creating new opportunities to practice their skills inside and outside of the classroom. 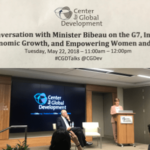 The Sustainable Development Goals are so wide-reaching that you would be hard pressed to find a community issue in any nation (at any stage of “development”) that wouldn’t find its way to one or more of the 17 ambitious goal areas. Food security, water scarcity, land and water management, peace-building, and infrastructure development challenges exist everywhere. Let’s starting working towards these goals together. Please comment below to share your thoughts and experiences on youth involvement in development initiatives in your area. How do you see young people taking the lead in your communities? What are some of the barriers or societal expectations that might be holding back youth from getting more involved?